Very tasty cookies soft and crumbly! 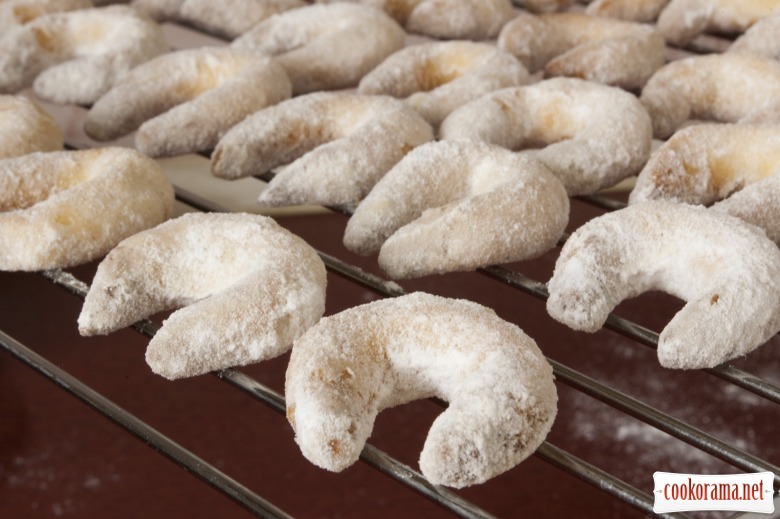 Not a cheap pleasure: almonds, butter, and mess with the preparation, but cookies worth this! 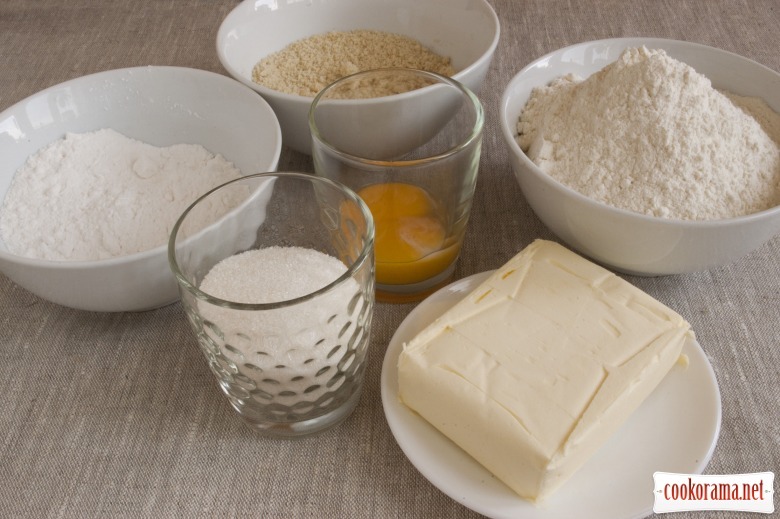 At first prepare basic products. 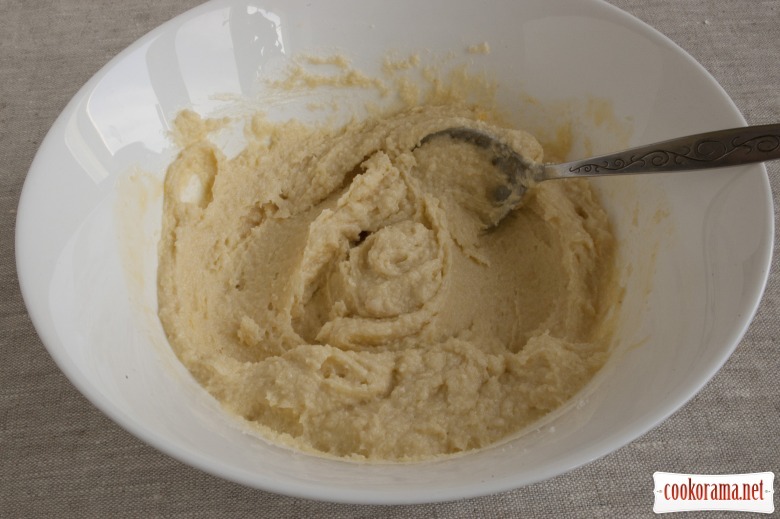 To prepare almond flour, soak almond for 15-20 min in hot water, peel it, dry nuts on the pan without oil, and then milled into flour in a coffee grinder. 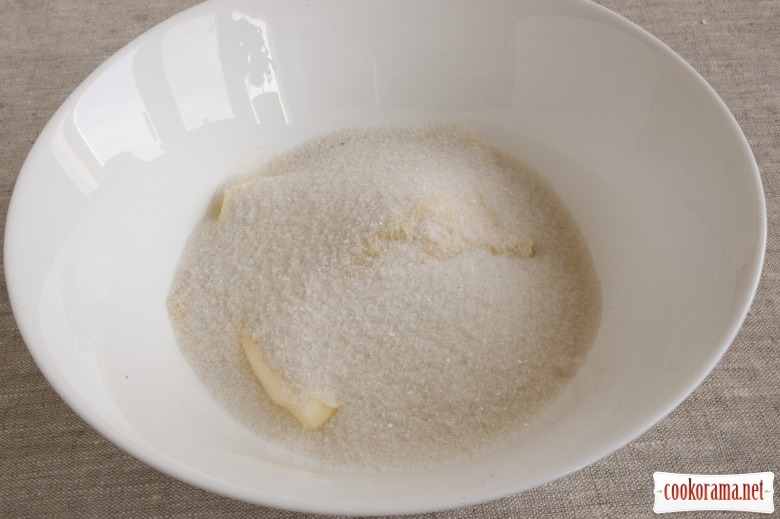 Put in bowl soft butter, add almond flour, sugar, pinch of salt. Rub it. 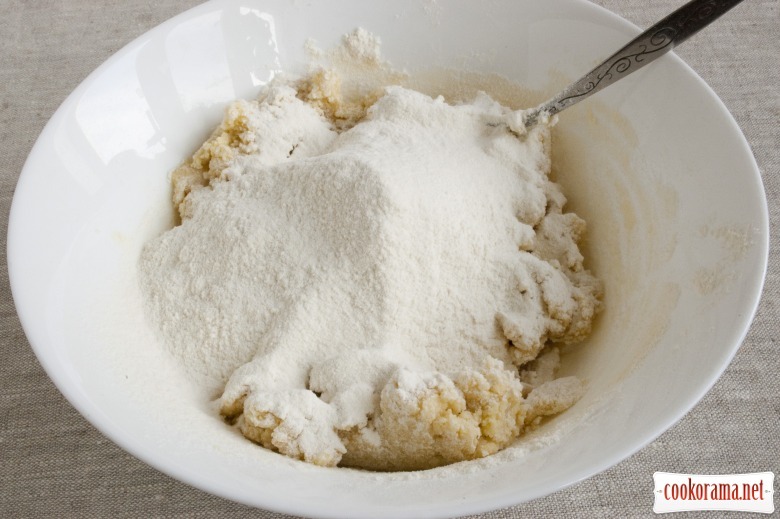 Sift flour on the top. 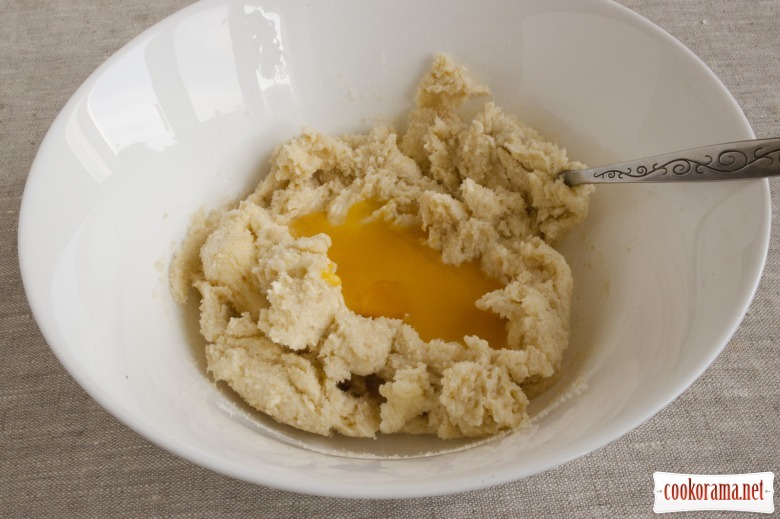 Knead dough. 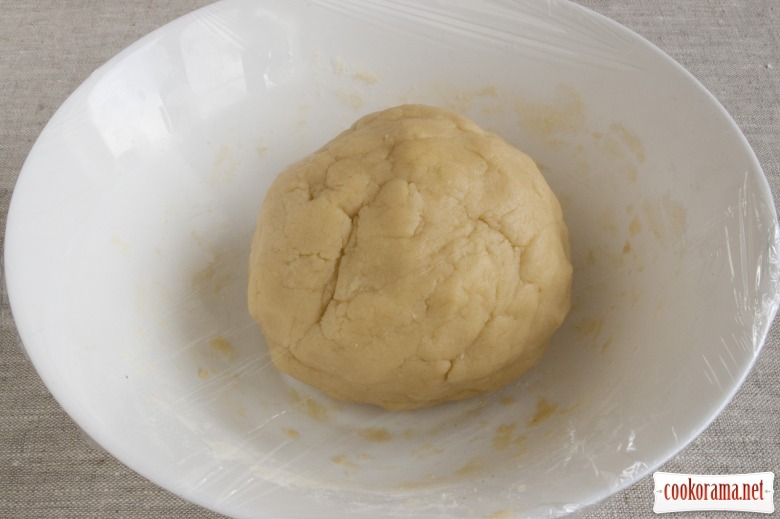 From dough form ball and put it in cold place for 2 hours. 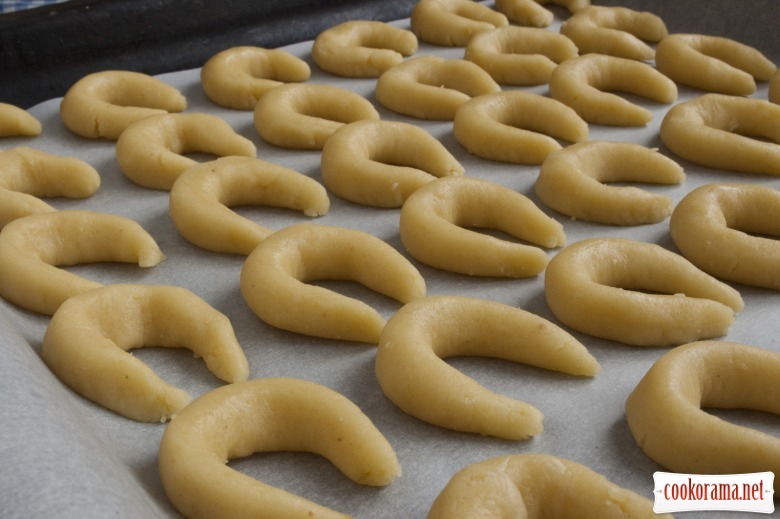 Then I cut dough ball in few parts and one by one take each and pinch pieces by 10 g. From each iece form roll 8 сm long, bent in horseshoe and spread on a baking sheet with parchment paper. 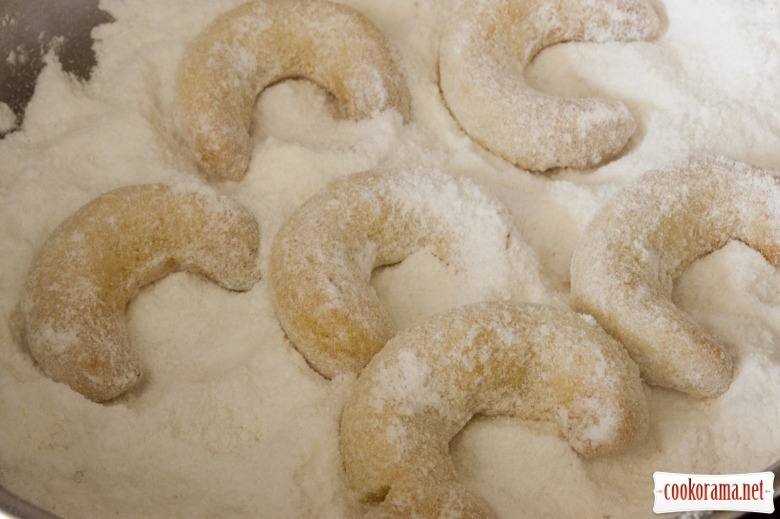 The step of forming horseshoes perhaps the most time-consuming, because the dough though plastic, but a little crumbly. But under the warm hand rollers become obedient and take good shape of horseshoes. Put cookies in the oven at 180 C and bake till golden color for 10 min. 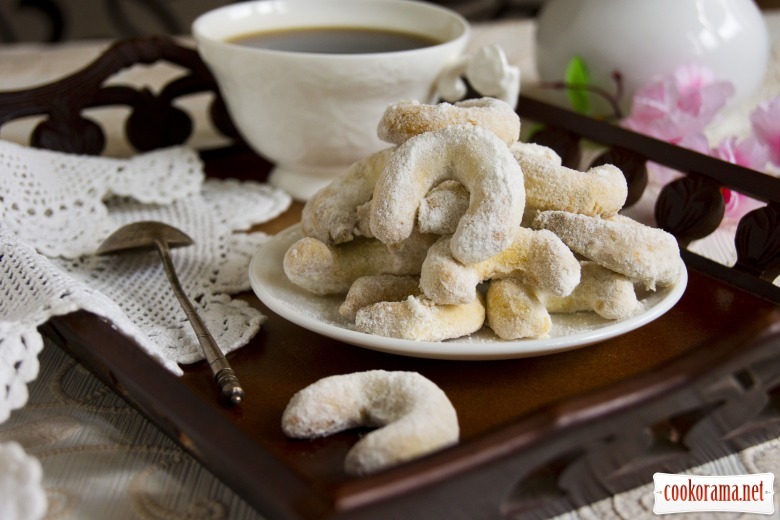 Roll hot horseshoes in sugar powder, combined with vanilla sugar (I pre-grinds the sugar with vanilla sugar in powdered sugar in a coffee grinder). Put the cookies on the grill. Leave to cool. Excellent Viennese dainty is ready! Bon Appetite! 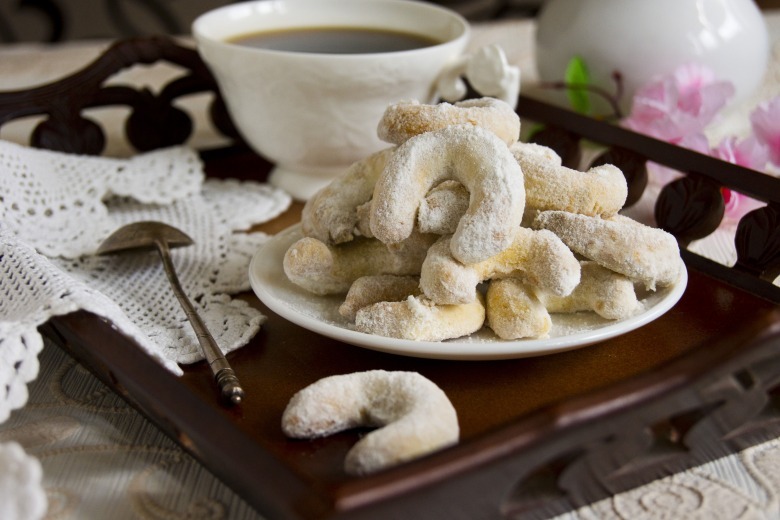 Top of recipe "Viennese almond horseshoes"
Вкусное печенько и очь стильное фото! Яка ніжна та вимтончена фотка. Випічка з мигдалем — це дуже смачно! Спасибо!))) Ммм… с грецкими должно быть даже ароматнее!